POCAHONTAS, Ark. — Prison can make or break a person. It’s said some enter soft as silk but exit hard as nails. But the same cannot be said about a man who, after 12 years behind bars, has become a beacon of hope to many. Time behind bars may have worked a number on Cameron Todd’s physical appearance, but behind the physique lies a heart of gold. “Back in the days when he ran a martial-arts school called the Blue Dragon, he was all muscles and abs. He had tried to recruit me to join the school, but I had already enrolled in another,” said Jason Cummins, Todd’s former neighbor. With a Dan rank (i.e. black belt) in martial arts among his accolades, one would not expect any less. Todd, 50, said he’s not worried about getting those six-pack abs back, but he’s slowly working on it. Twelve years of confinement taught him patience, resilience and faith. Todd worked as a police officer in Houston, Mississippi and was on duty when police arrested him for sexual battery. Todd said he did not commit the crime and his original trial ended in a hung jury. During a second trial, he was convicted and sentenced to prison. Todd said his accuser retracted her statement, but the Supreme Court of Mississippi upheld the jury’s verdict in his direct appeal, as did the Court of Appeals during a second appeal. “We were all shocked when we heard the charges brought against him. He was that guy who was just cool with everyone,” Cummins said. When Todd went into Marshall County Correctional Facility in Holly Springs, Mississippi, he possessed only his GED. But while in prison, he immersed himself in books, finished his associate’s and bachelor’s degrees, pursued a master’s degree in music ministry and eventually graduated with a doctorate in theology from Gulf Coast Bible Institute and Seminary in Fort Walton Beach, Florida. Todd, a “jack of all trades” as his former business partner Herman Lopez calls him, engaged in many businesses. Working with Lopez, he trained ex-inmates to work as freight agents. This provided opportunities to many former prisoners who found it hard to get jobs after doing time behind bars. While Todd consistently worked on new projects, Cummins said only music remained constant. Todd said life as an inmate proved to be almost unbearable but faith, discipline, hard work and determination coupled with his guitar’s melodies brought him hope for a better tomorrow and saw him through. Todd calls the studio in his basement his “getaway island.” The bright-red walls with an occasional splash of black are strikingly inviting. The spirit of rock ‘n’ roll pours from all corners of the room. A lonely chair in red leather sits in the middle of the room, swiveling left and right. Under the chair, a rag with a red cross lay flat on a zebra-print mat, contrasting with the rest of the floor covered by soundproof carpeting. On the left of the room, a piano rests on a tabletop next to the wall. A painting on a black canvas of a white-and-red guitar camouflaged in a raging fire hangs on the wall above the keyboard — it looks like a masterpiece. Adjacent to the door on the right, a small room with his guitar collection lining soundproof walls. Everything seemed carefully selected and arranged — red and black items made up his decor. Four speakers are strategically mounted in the room’s corners; two more rest on the table opposite the keyboard. That same table held two computer monitors. A long, black-leather sofa sits quietly adjacent to the door. “Hey, listen to this,” Todd said in an almost whispering voice while grabbing an electric guitar and striking a note. The sound of music brought a sudden calmness that instantly toned the room’s energy. Striking several notes in rapid but steady succession, his fingers gyrated back and forth on the strings as the music blared. The bronze-looking cross dangling on a silver chain around his neck glowed from the reflection of light coming from the lampstand at the corner of the room. In a moment Todd seemed lost in his world, a world familiar to him, a man indeed in his forté. Todd said after he watched a CBS special when a man appeared on the show playing guitar using his toes, he thought to himself, if that guy could use his toes to play the guitar, he could handle his fingers getting tired. That became his turning point. He started doing what he loved. His other inspiration came from listening to Mason Williams while he remained on the top of the classical chart in the 1960s. Todd said he doesn’t make music for money but for the passion. He only wishes to leave a legacy of music. Todd said his genre resembles old gospel hymns, the kind of music that everyone can remember. “Music from the ’40s, the ’50s all the way. The kind of music that people played when everything was simple, when life was so simple all you worried about was if you had air in your bicycle tires and a bologna sandwich waiting for you when you get home,” he said. 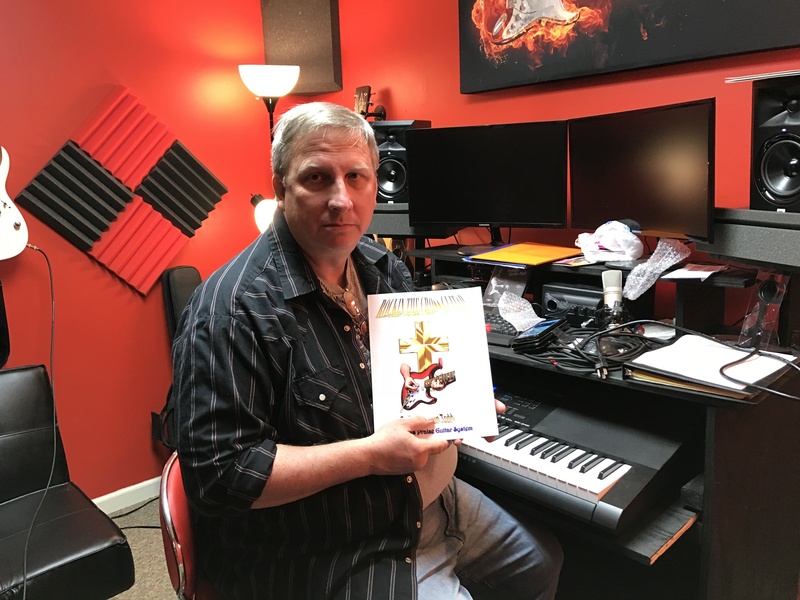 He struck the last chord and set the guitar on the chair, then grabbed a book titled “Rockin’ the Cross Guitar: Effortless Praise Guitar System,” available on Amazon. He said he published the book in 2016 to teach the guitar in a quick-and-fun way. He struggled to learn from the previous books he found. He also published “C Scale Confident Zone.” Todd said the C scale method he developed makes basic guitar playing comfortably for beginners with its straightforward method. He said the large and easy-to-understand graphics, cut-out flashcards, practice exercise and easy-to-understand explanations make it easy to get one playing guitar in no time. He said his other books on Amazon cover topics from preferred internet marketing to mixed martial arts training. Todd plays music regularly at Living Waters Church in Pocahontas and other events. Lopez said Todd proves to be a pro while playing the sacred gig. Todd’s wife, Teresa, only said beautiful things about the man she loves. Teresa Todd said her husband loves to inspire and make people happy. She said his positive and bigger-than-life outlook towards life initially attracted her. Todd inspires others to go beyond what they ever thought possible, she said. Todd wants to give back to society. He stays busy helping clients building business websites. 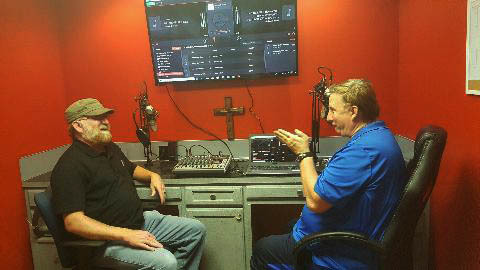 Todd also owns and runs a web-based Christian radio station that plays gospel music from all over the world. He said he’d use his studio to record others free of charge. Although he would like to form a band, he said he still enjoys playing solo, which feels like therapy to him. He said he likes modern styles, too, and he would like to wear all leather and spiked hair. 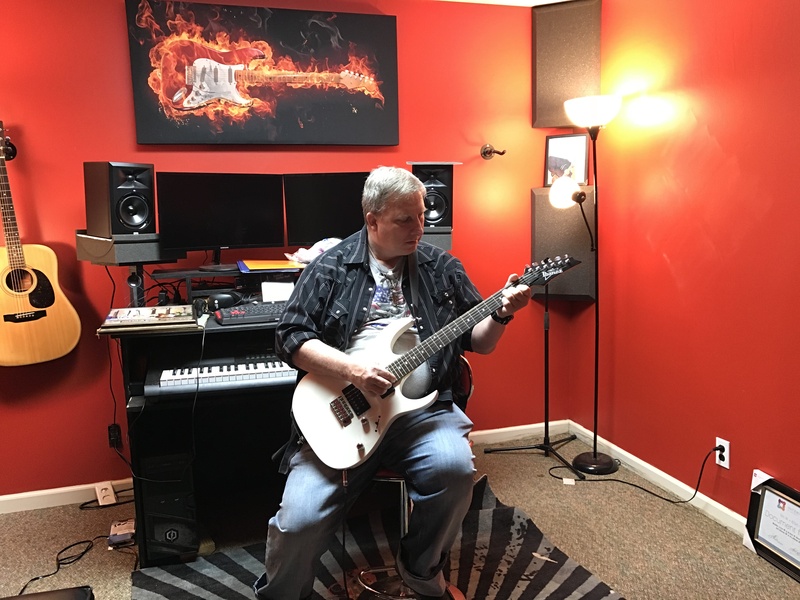 Todd said he hopes to have a guitar line and would like to see every musician, church choir or interested person use the book “Rockin’ the Cross Guitar: Effortless Praise Guitar System” to learn how to play because of its easy-to-use and fun nature. He said those who want to learn to play music should find an instrument they like and learn as fast as they can. Todd said he considers himself spiritual, but not religious. He said one should not let time go by without having some way to appreciate it. Over the last 20 years, Todd said he learned to give freely with no expectation of return in order to receive a blessing. He said using the time as an inmate to better himself helped him to no longer be bitter about the whole ordeal. Wow! Christine, this’ an awesome article. You should be working with the biggest renowned news agencies – New York Times, BBC…name it. Since primary, you were always excellent in playing with English words. Congrats. Wow! the article is so touching Christine. Excellent job. Keep it up! This is extremely creative good work from you after all. Keep it up sister i believe in you, Only God can determine your limits but no man can stand your way. The almighty is there to see through, all thanks to you ,Yours Victor. This is very nice christine..God made us to do something in this world..inspiring keep up!